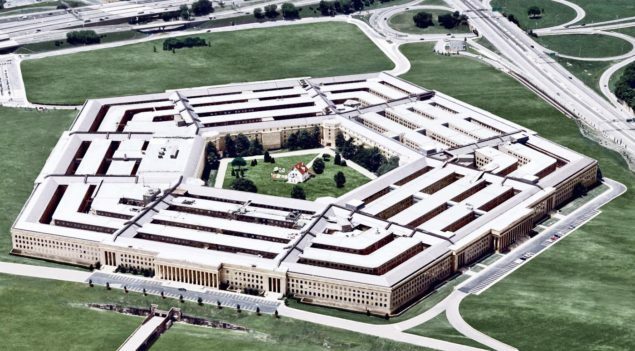 Pentagon to Launch the Largest Windows 10 Deployment! Microsoft has just earned four million new Windows 10 Enterprise users as the U.S. Department of Defense (DoD) is upgrading all of its computers to the latest Windows operating system. All the U.S. DoD agencies will deploy Microsoft’s Windows 10 throughout their organizations, from “laptops to desktops to mobile devices, including Surface devices,” Microsoft says. The software maker also rightly calls this move of upgrading over 4 million devices in less than a year “unprecedented” for a customer with the complexity of DoD. Announced just over six months after Windows 10’s release in July last year, this will prove to be the biggest (and possibly free) marketing campaign for the new operating system. Several people have already started calling out on other businesses with jabs like, “if your organization hasn’t yet upgraded to Windows 10, you’re running out of excuses.” It is not a faulty correlation too as a government agency usually waits at least over a year before installing a new operating system. Consider the size and security concerns of DoD, this announcement will be a strong sign of success for Windows 10 in the market, pushing other organizations to make the move sooner than they might have planned. With the DoD spending approximately $44 billion annually on cybersecurity and IT, Halvorsen said the DoD needed to deploy innovation faster to ensure systems are more secure, more efficient and cost-effective, and standardized on one platform. Because the U.S. Department of Defense is a prime target of cyber criminals and one of the largest and most complex organizations in the world, its leaders know the importance of securing its baseline systems. – Microsoft. Meeting specific government criteria and standards, Windows 10 has now officially received the vote of confidence, getting itself over 4 million installations in the next 12 months. In addition to this tremendous success for Microsoft’s latest operating system, the company’s Surface line has also been certified to meet DoD’s security requirements.